The Front Office Executive (FOE) was at her loudest in making sure that the white-gloved Assistants were properly bullied into serving water, tea/coffee to the guests. Of course, all of it was in good faith. Her message was quite clear. She wanted the guests to know that she was ‘taking care’ of them and the service staff that she was the ‘Boss”. The service was super and the coffee classy. To be honest, none of the staff had a smile on their faces including the FOE. It was a well-oiled machine but the soul was somehow missing. A glance at the wall behind the FOE told me about the Company's Vision, Mission, and Values (VMV). Proudly hung corporate jewels in big bold font and bright corporate colors…screaming “COME LOOK AT ME”! Presumably, it was done to keep the visitors informed and of course, in the hope that the denizens would get suitably impressed and start acting accordingly! Noble thoughts indeed! The large well-appointed lobby of the MNC was a bustle of activity and noisy; my host was delayed and I had nothing to do. “Honesty”, “Customer First” and “Respect for People” were very prominent on the wall and the last one grabbed my attention because of the jarring conduct of the FOE. So, here I was, wondering where the ‘Respect for People’ was and what it meant to my new-found FOE. Evidently, she meant well but she had no clue what the Values stood for! So, can my FOE be blamed completely for her behavior? I reckon not. We have all heard CEO’s, CHRO’s and CxO’s a.k.a. 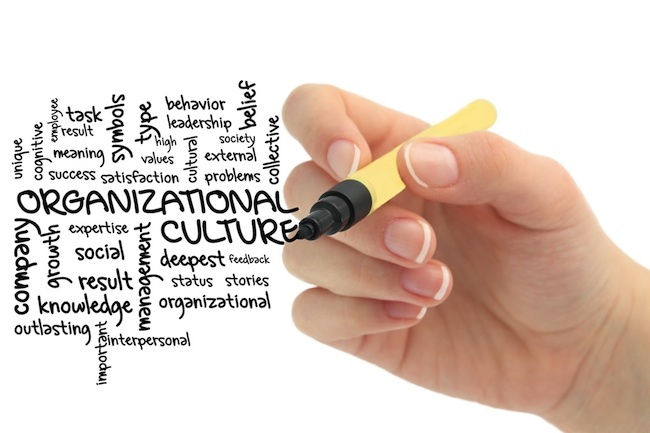 Culture Czars lament that there is a dire need to protect the Company’s Values, Culture and so on. However, a question that comes to mind is if they are leading from the front? Where that is not the case VMV possibly reside in their heads and seldom dare to venture out from their comfort zone! If Culture means the way we do things here, then it should largely be driven by the practice of Values. Easier said than done because, given a choice, people will measure others based on anecdotes, impressions, hearsay, perceptions, business expediencies, etc. It’s a classic case of people measuring themselves by their intent and others by their actions. Having made that presumptuous statement, I venture to make another submission i.e. a large majority of the firms do not measure the “Practice of Values” in any which way. Of those who do so, some measure on a scale that is rarely understood by the employees or even worse on a strange binary “Y/N” scale, leading to uncalled for disengagement. Not to belabor the point but the question is what can we do about it? Values can and have to be embedded in the 3P's (People Policies, Processes, and Procedures) and there is no escaping that. Because organizations are unique they need to develop a model that is most suited to them and all their stakeholders including employees, customers, vendors, partners and last but not the least the shareholders. The basis must be on examples of demonstrated behavior provided by individuals. It would help if the examples provided can be corroborated by other stakeholders including team members. At Selectigence, we have developed a unique model that relies upon inputs of all in the ecosystem including vendors, partners, and customers coupled with examples of demonstrated behavior brought in by individuals. The model enables organizations to not only understand the behaviors exhibited by the individuals but also to validate the practice of Values and of course, the effectiveness of them.